. :: JORDAN WINS THE GOLD AT THE INTERNATIONAL TEAM COMPETITIONS IN FOREST HILL, JARASH ::. The Jordanian team dominated today at the team competitions here in Amman at the International Friendly Club competition with the participation of five countries. 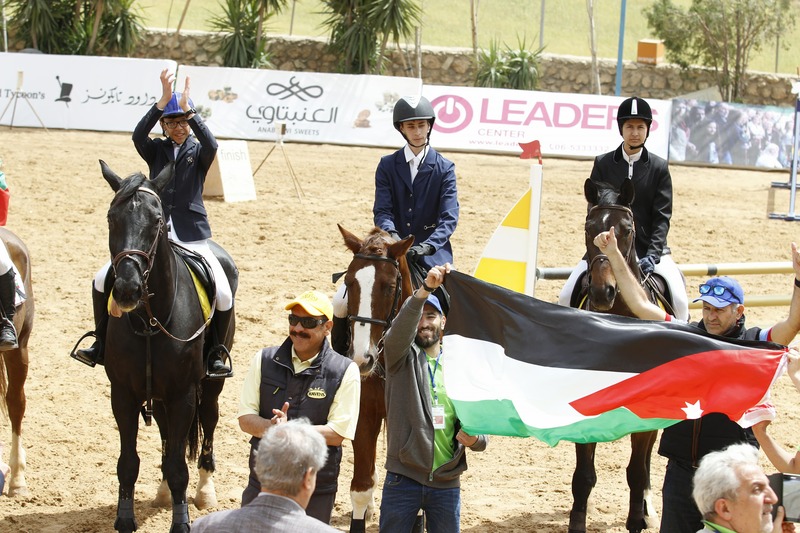 The winning team is comprised of 4 golden riders Rakan Mourad , Adam Barhoush , Siwar Tabbalat and Baker Abdeen in addition to the Chef D’equipe Sharaf El-din Ibrahim . The Bulgarian Team came in Second Place and the Egyptian Team followed in third.